God has placed people in our lives to help us grow spiritually. I believe the purpose of every church ministry should be to see people saved and to see them grow. I’m not opposed to sports programs in the church as long as the purpose isn’t totally sports. The purpose should be to have leaders in that program to help in the perfecting of the saints. Appliances don’t serve themselves. 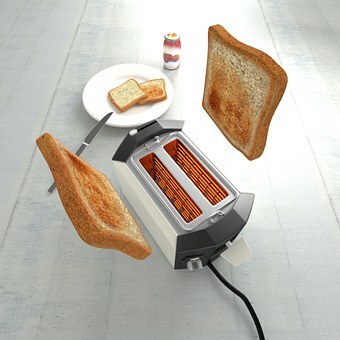 Toasters don’t eat their own toast. Refrigerators don’t cool the food they are going to eat. Stoves don’t eat the food that they cook. A microwave doesn’t digest the food that it radiates. Can openers don’t eat what is in the can they open. Appliances are there to serve somebody else. We benefit from their calling. God has assigned you a divine purpose and your fulfillment of that purpose should result in a benefit to others. So let me ask, “Are the people around you growing spiritually? If not, why not?” It may be time to do some reflecting on your own life. ✞ Help others to grow spiritually. That’s a calling for us all.